We are housesitting in the Sierra de San Pedro de Martir mountains of Northern Baja California, Mexico. We have spent our time here to learn the culture, practice our Spanish, and learn as much about off-grid living as we can. Get excited! We will be sitting on a roundtable discussion at Overland Expo 2019 WEST in Flagstaff, AZ. “You Better Like Each Other-Full Time Overland Travel as a Couple” is bound to be entertaining! Click Here to find out more! We are Zach and Rachael Elseman, the Okienomads. 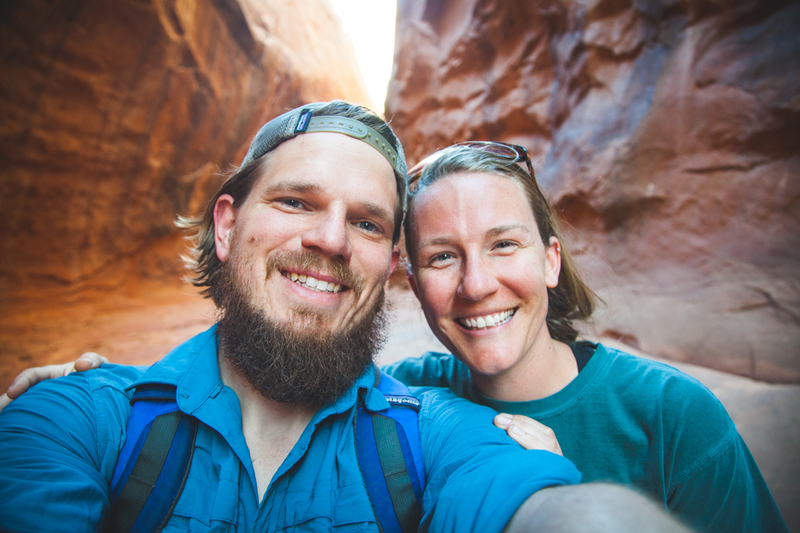 We are newlyweds that have discovered a passion for exploring the world by vehicle. Whether it be cruising National Parks in our Skoolie or bombing an off-road trail in our 4Runner, we are always down for an adventure. We have sold most of our belongings and are living out of our vehicles full-time. By working remotely and living with less we are able to cultivate a lifestyle that fits us. Navigate the map below to follow where we have been on our adventures! In 2018 we drove over 20,000 road miles through the American West not to mention the hundreds of miles paddling, hiking, and biking. 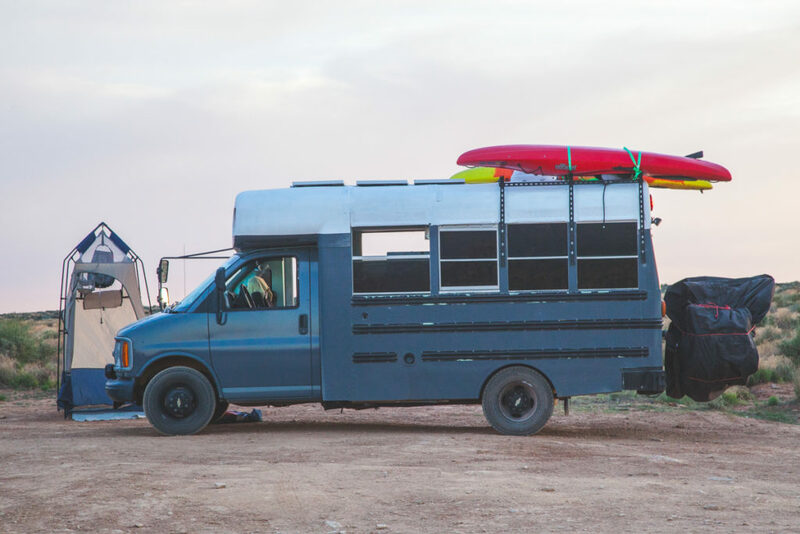 2019 is on pace to be an even more exciting year as we travel the Eastern US in our skoolie. 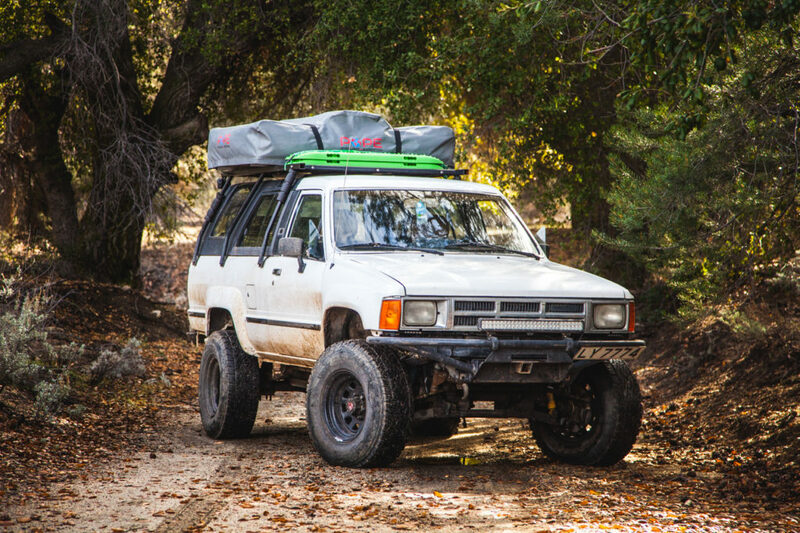 We use our 1986 Toyota 4Runner to explore deep into the hills and forests where our bus shouldn’t try to go. The 4runner is lifted, built out, and a ton of fun to drive. Our “basecamp” is our 2000 Chevy Short Bus Skoolie. We have completely gutted it and made it into a tiny house on wheels complete with running water, solar power, and a queen-sized bed! Take a look at both of our vehicles in The Garage. We include build photos, current status, and tons of information about our mobile houses.